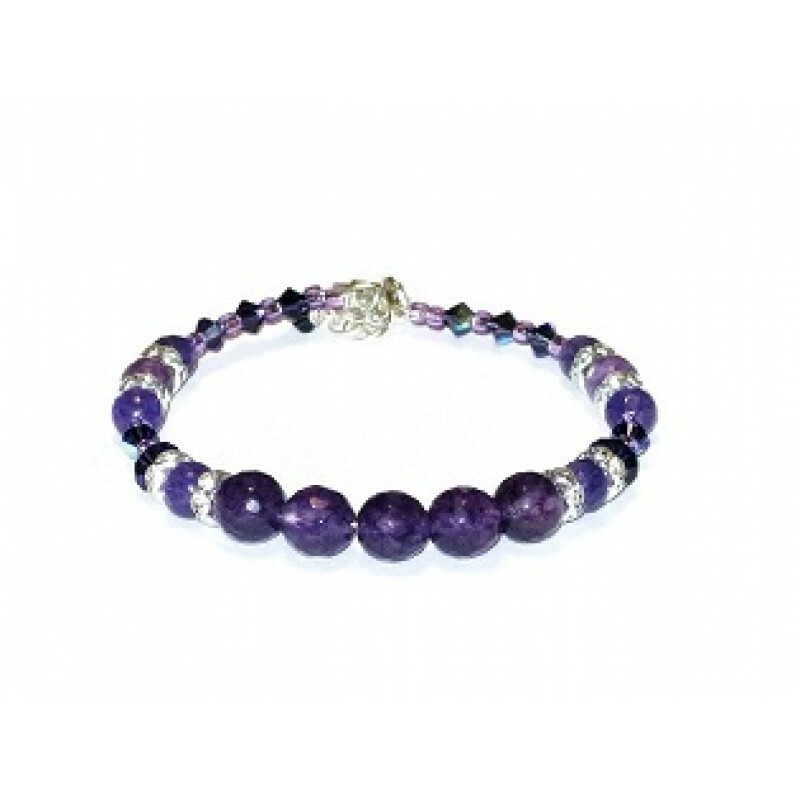 This purple bracelet could be the finishing touch you need to add to your dress or favorite top. It is made on expandable wire and consists of Swarovski crystals and faceted and smooth jade beads. It has a silver-plated lobster clasp and chain extender. It can be extended from 6 3/4 to 7 1/2 inches. This ring contains three jade beads but the center bead is deeper shade of purple and is faceted. .. This ring features an 8mm faceted jade bead wrapped with non-tarnish twisted silver-plated wire. .. These purple drop earrings contain Swarovski crystals, faceted and smooth jade round beads, and rh..